AMI PVC Pressure Vessel Membrane Housings 2.5" diameter | Applied Membranes Inc. Attractive 2.5” PVC pressure vessel membrane housings are available for 14”, 21” & 40” length membranes. This U-Pin style pressure vessel membrane housing is designed for direct connection to AMI/Applied Membranes and FILMTEC/DOW style elements. The AMI 2.5” PVC membrane housings are ideal for pressures up to 200 PSI. 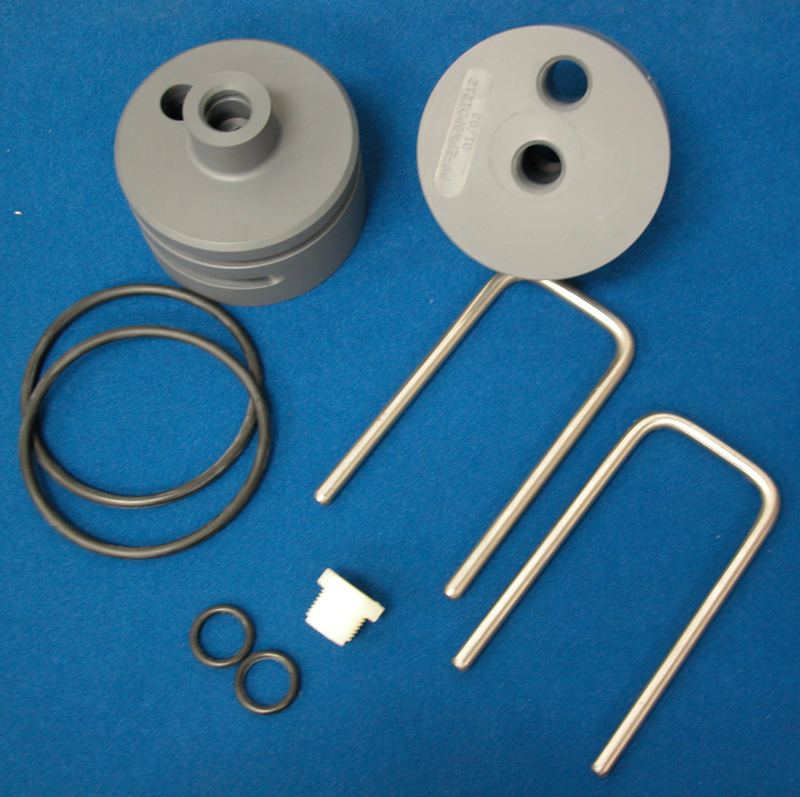 Note: Vessels sold complete with End Plugs, U-Pins, Feed Plug and O-Rings. Mounting Pads and Straps not included. 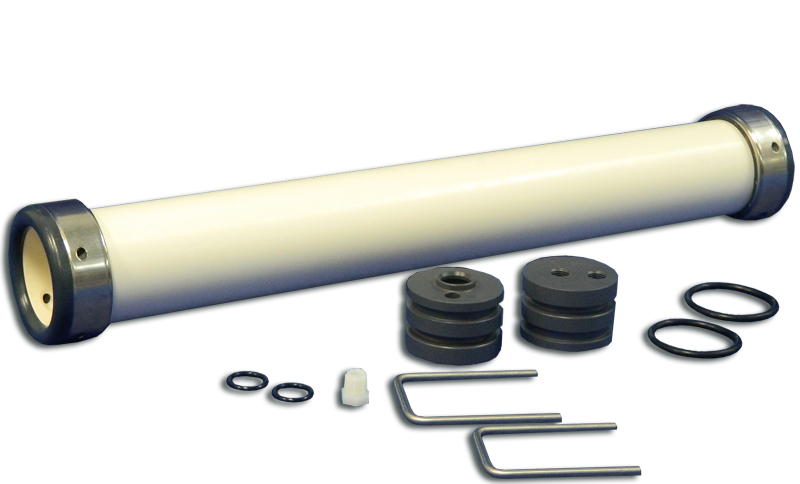 Warning: PVC pressure vessels are limited to a maximum pressure of 200 psi (14 BAR) at 77°F (25°C). Higher pressure, higher temperature water or water hammer will lead to a premature failure. It is highly recommended that when these conditions exist, a pressure switch or relief valve be installed to protect the vessel. Alternately, you may consider a stainless steel or FRP vessel.